Yar, a Final Fantasy tribute wallpaper. Enjoy! This picture is very good. 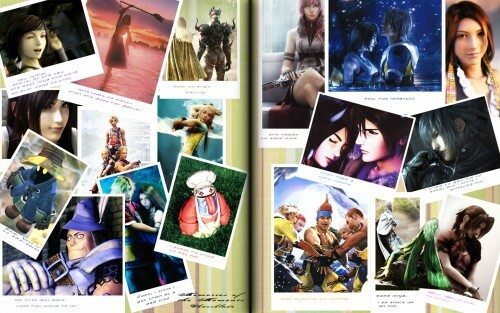 Beautiful wallie.. but why does it have so many pictures from FF X? Thank you for the FF memories! oh wow book of Final Fantasy. It's cute and has a nice, mellow feeling about it. It brings back some nice memories. It is so beautiful! Thanks for the wallpaper.